Primary Program — Montessori Schoolhouse of Cheshire County, Inc.
Our Primary Program is a three-year cycle for children ages three to six years old and includes the kindergarten year. We have three-, four-, or five-day options. The program starts at 8:30 a.m. and has a ratio of one adult to eight students. 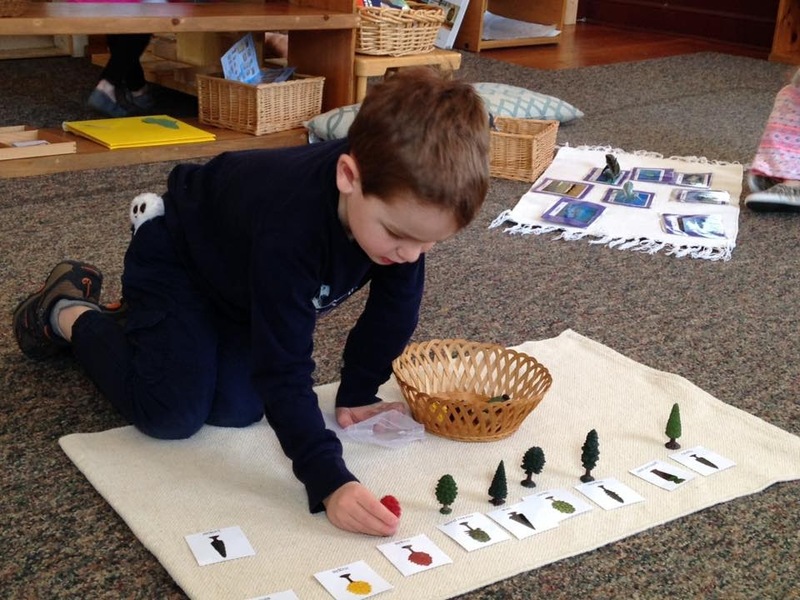 The main components to the Montessori Primary Program are the activities of practical life, sensorial, math, language, culture, and nature play. These are the exercises in daily living. There are three main areas in practical life: care of the self; care of the environment; and grace and courtesy. The purpose of the sensorial materials is to develop intelligence through thought-provoking work. The children building with the “Pink Tower” or “Brown Stairs” learn visual and muscular perceptions of dimension.They learn to order, compare, contrast, evaluate, grade, and classify, which are precursors to problem solving skills. As an extension of sensorial materials, the children learn using didactic materials that give concrete expressions to abstract ideas. 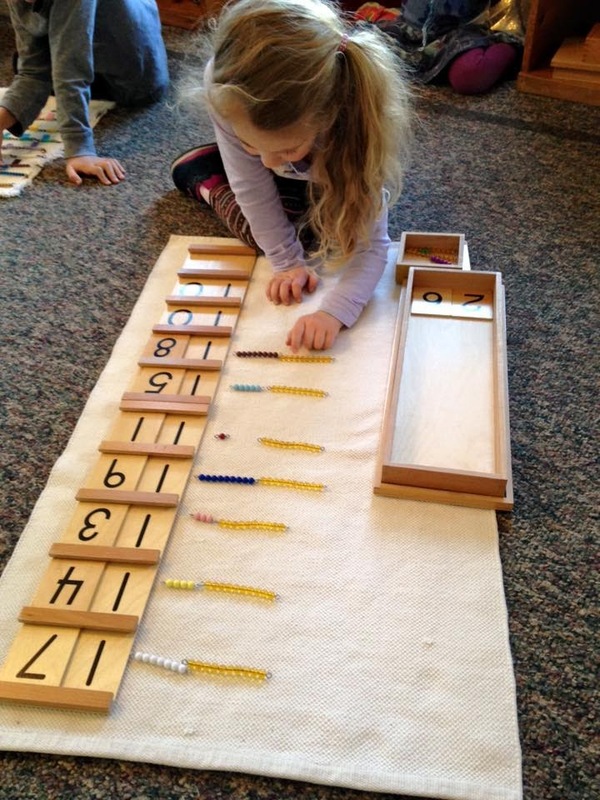 Children in a Montessori classroom often learn to count, add, and multiply, as the available materials aid this process. Through songs and stories, children acquire language. 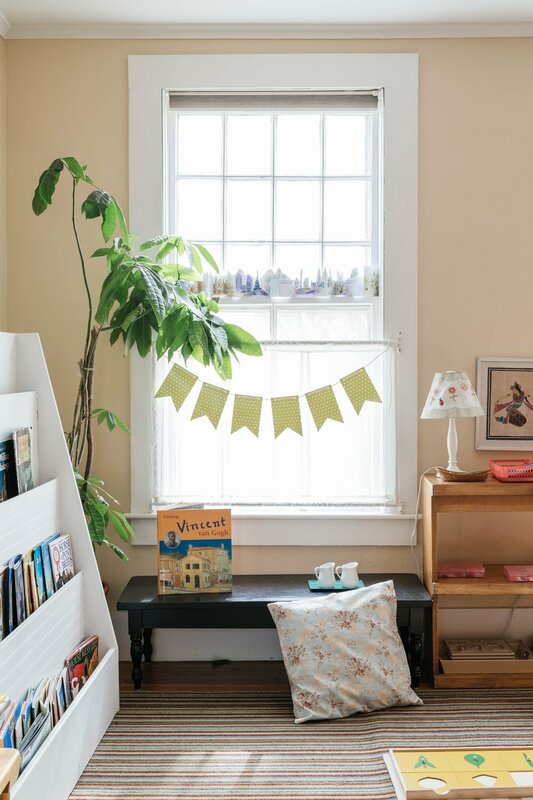 Montessori also offers the opportunity to learn to read and write. We teach the sounds of letters and learn to build words with the movable alphabet. Culture materials are wide-ranging, including geography, botany, zoology, art, and music. These are integrated into the curriculum.